NAIROBI, Nov 22 2018 (IPS) - In a matter of days the world’s blue economy actors and experts will converge in Nairobi, Kenya for the first ever global conference on sustainable blue economy. From Nov. 26 to 28, participants from around the globe will meet in Kenya’s capital to discuss how to develop a sustainable blue economy that is inclusive of all. Professor Micheni Ntiba, the Principal Secretary for Kenya’s Department of Fisheries, Aquaculture and the Blue Economy, says partnership linkages with development agencies such as the United Nations Development Programme are key to progress, but synergies need to be directed towards integrating policy and strategy for implementation. “This will be a conference like no other, with a research and scientific symposium. It requires knowledge and hence there is the need to integrate policy and strategy for implementation as well,” Ntiba told IPS in an interview. Wilfred Subbo, an expert in natural resources and an associate professor at the University of Nairobi, told IPS that the Sustainable Blue Economy Conference will significantly jumpstart the country’s blue economy by setting the agenda on the need to prioritise the exploitation of water-based natural resources. He said that the stage is set for governments and private sector actors to transform the country into a robust commercially-oriented blue economy. Just this week, on Nov. 19, President Uhuru Kenyatta launched the country’s newly-formed Kenya Coast Guard Service in Mombasa, Coastal region. With the Kenya Coast Guard Act 2018 already in place, the mandate of the new coast guard includes controlling illegal and unregulated fishing, border disputes, and piracy as well as the degradation of the marine ecosystem. Also on the same day, Kenyatta launched the ‘Eat More Fish’ campaign, which has Ali Ahmed is elated. Ahmed is a Malindi-based fisherman whose main target markets are in Malindi, Mombasa and Nairobi. Government statistics shows that the current per capita fish consumption is at 4.6 kilograms, and that the president’s campaign will drive consumption to rival Africa’s average of 10 kilograms, and later attain the global average of 20 kilograms. This is part of an agenda to encourage ordinary Kenyans to both invest and reap from the blue economy based on the untapped potential in fisheries. “Kenyans have turned to other foods like traditional vegetables and ignored fish. They say it is too expensive but this is not true. Most of the fishermen are in the business to put food on the table and nothing else,” he tells IPS. Nonetheless, experts insist that there is still a lot more to be done towards developing a strong blue economy action plan, just as countries in the Western Indian Ocean such as Mauritius, Seychelles, Madagascar and the Union of Comoros have done. Professor Peter Anyang Nyong’o, the Governor for Kisumu County where Lake Victoria is located, told IPS in a telephone conversation that despite huge funding towards solving environmental problems in Lake Victoria, the impact has been negligent. The Lake Region Block is planning to host a conference early next year that seeks to discuss pollution in Lake Victoria, mainly caused by the hyacinth, the invasive plant that has paralysed commercial fishing and marine transport. “Hyacinth has heavily affected fish life in the lake as it impedes oxygen level. We are going to discuss scientific research that seeks to bring a better solution to the hyacinth in the lake,” says Nyong’o. And as counties from the Lake Region plan to attend the Sustainable Blue Economy Conference, Nyong’o says his county is currently working on a plan to revive the fibreglass boat-making project to curb accidents and deaths caused by the use of soft wood in making boats, which he says causes roughly 5400 deaths a year. Braganza says that the high-level meeting will draw attention to the responsibility that citizens have in the ethical consumption and responsible use of natural resources. According to the Kenya Institute for Public Policy Research and Analysis (Kippra), the estimated annual economic value of goods and services in the marine and coastal ecosystem in the Blue Economy in the Western Indian Ocean is currently slightly over 22 billion dollars. Kenya’s share is approximately 4.4 billion dollars, with the tourism sector accounting for about 4.1 billion dollars. 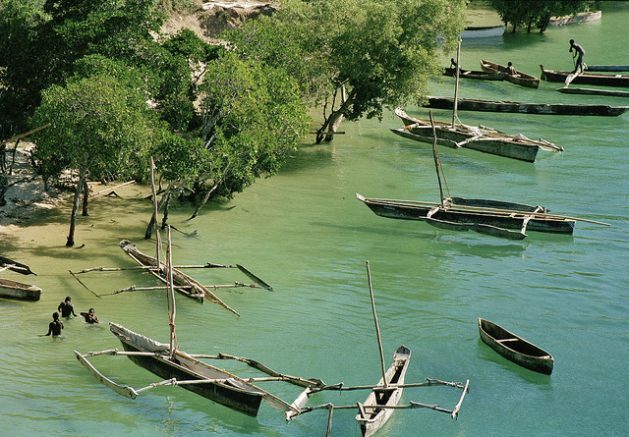 The research and policy analyst says that despite the country having a maritime territory of 230,000 square kilometres and a distance of 200 nautical miles offshore, equivalent to 31 of the 47 counties, Kenya has only explored tourism and fisheries. According to Kippra, fisheries are by far not its most productive sector, accounting for a paltry 0.5 percent of the country’s Gross Domestic Product (GDP). Against this backdrop, Braganza emphasises that in pursuit of the blue economy the country will need to seal its policy loopholes. With shipping said to be responsible for about 2.5 percent of global greenhouse gas emissions and other pollutants, an agreement reached to reduce greenhouse gas emissions from global shipping when nations met at the International Maritime Organisation (IMO) in April this year marked a big milestone. Feeding the globe’s projected 9.6 billion people by 2050, invigorating aquaculture estimated to supply 58 percent of fish to the global market has the potential to contribute to food security as well socioeconomic inclusion of some of the world’s poorest. Ntoba says Africa is still blind to the rich diversity of water body resources, and that its nations should now seize the opportunity by using the upcoming global conference as a wake-up call to foment greater African partnership. Kakamega Governor Wycliffe Oparanya, who chairs the Lake Region Economic Block, told IPS the region will seek to push for a focus to have more funding directed towards improving commercial fish farming in the counties. So far, the government has already set aside some Ksh 10 billion to improve marine fishing in the coastal region and another Ksh 14 billion to harness commercial aquaculture in 14 counties. “Water has been mainly used in conventional irrigation agriculture which has contributed to greenhouse gas emissions but there has to be a shift. Sustainable water use will help spur the economy and at the same time curb greenhouse gas emissions,” Oparanya told IPS.